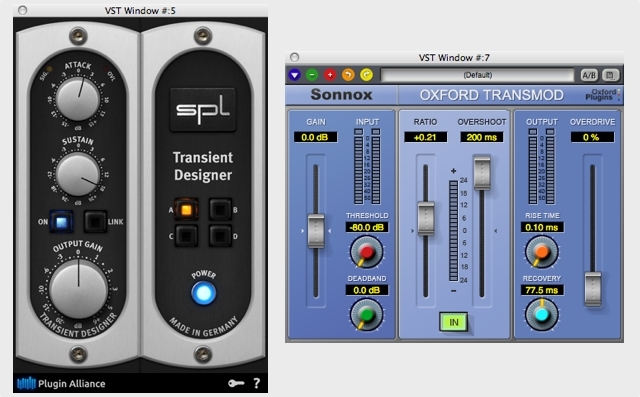 Transient enhancement plug-ins are wonderful tools to have in a sound designer’s arsenal. They can be used to soften a sound or to make it balls to the wall, hard hitting intense. Explosion sounds really benefit from this type of process. If you have recorded explosions, you may already have discovered that live is much better than tape, or should I say “BWAV file.” The human body feels the concussion wave from a powerful blast as well as hearing it. The sound still feels massive even when wearing hearing protection . In the video you will see the snow lift off the ground a little bit, and it’s especially noticeable in slow motion. When you load the raw sound files into your DAW to listen to them they seem a little limp (no pun intended). So, bring on the transient enhancement! The sounds I recorded for this demonstration were done in my front yard here on the ranch on a very cold day; it was just under 20°F with very little wind. I hauled my gear out the door and set up in my driveway which is currently surrounded by tall snow banks. I used two SD-702 recorders synced together and set them up 25 meters away from the explosive targets. I would shoot from this position with a .22 caliber rifle. The microphones were about half way between me and the doomed snow bank. Explosions in a snowy, winter environment are actually perfect candidates for this kind of transient process because most of the initial intense mid and high frequency energy is instantly absorbed by the soft blanket of powder snow. This makes the sound more like deep pop. Even with all the natural sound absorption there is still a great deal of sound during the first few hundred milliseconds – we just need to bring it out. The Sennheiser MKH-8040 microphones record way beyond 20k, and they also record a fair amount of sub-sonic information too. To see how much and at what frequencies this very low end energy is, I turn to Waves H-EQ. This plug-in has nothing to do with transient enhancement, but it does effect how the transient plug-in reacts to the explosion especially when pitched down. I love this plug-in since I can see what’s going on with level and frequency at the same time and adjust accordingly with the various EQ emulations and parameters. As you can see in the H-EQ screenshot, there is quite a bit of sub-sonic energy between 10 and 20Hz. I added a slight roll-off at 16Hz and a slight bump in the upper range. There is also a decent spike at 100Hz, but I will leave that alone because when the explosion is pitched down an octave it becomes 50Hz and that might work in our favor. This plug-in is cool! It works just like the others out there, but it has a certain sound and processing quality that I really love. It’s also very simple and easy to use, though I’m not a big fan of “knobs” on virtual processors. I much prefer sliders or faders with using a mouse. The sustain knob is very touchy; you can move it just ever so slightly and hear a difference. For this article I pushed it quite hard, and it really brought out the energy in the first part of the explosion. It also added a “brightness” to the sound that the others did not. By pushing the “sustain” setting way up it really amplified the post-attack of the sound without extending the reverb tail all that much. By pulling way back on the sustain, the attack transient can really be amplified with little to no reverb tail heard at all. If you listen carefully to the video you can hear the pinging and echo bounces off my barn and garage structures. I only add a slight amount of attack adjustment; I just did not think it needed much attack processing. I’m no expert at the precise, scientific aspects of this, I just go with how it sounds and how it feels. I believe there really is no right or wrong with this crazy processing stuff. Follow your gut… and the sound. This is one of my favorite transient modulators. This plug-in does some crazy, over the top processing when you push it hard. It also can do some subtle processing when need be. I really like how much control you have over the transient. At certain settings it can substantially lessen the reverb decay of just about any sound. For this set of sounds, I “Overshot” the hell out of it; it just seemed to sound great that way to me. Again, follow the sound, don’t worry too much about the red clipping indicators for the time being. This plug-in brought a huge amount of beef and sharpness to the explosion and sounded very different from the SPL. I did notice I had to be careful with the ratio setting as the smooth reverb tail started to pump when I hit too high of a setting. I have noticed this on other sounds as well. 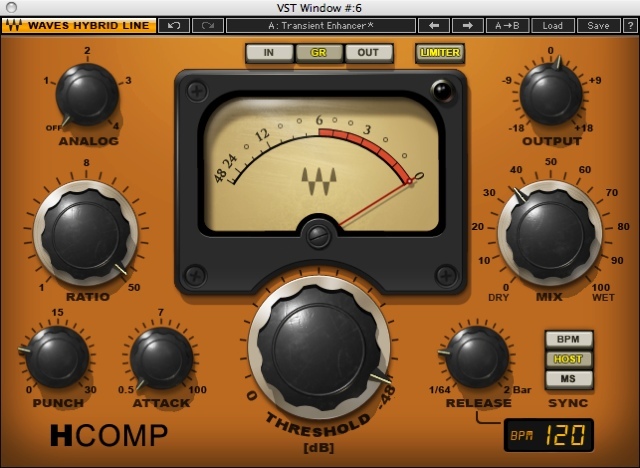 This plug-in is in my A-list of compressors. It’s not really a transient enhancer but it can perform something very close and at the same time really pump up the body and decaying tail of a sound with the RELEASE setting. I set the THRESHOLD and the RATIO almost to the extreme setting and the MIX was about 35% of the effected sound. Using heavy compression of this type on explosions can work to your advantage especially when so much of the sound is so much lower in volume compared to the initial attack. The attack transient on these explosions was 40dB louder than the reverb tail of the sound at 500ms in. Compressors might not be as precise as a transient enhancer but they sure do sound good at times. The PUNCH feature can also be used to really pump up the attack of the sound with a nice analog feel. In the last part of the video the explosions are processed by all of the plug-ins in series along with some L2 limiting. As you can hear, it’s loud, punchy and has the beef and that’s the idea, right? When working with multiple transient enhancers and compressors make sure you keep an eye on your gain structure as it can get out of hand very quickly. I did have to dial back the output gain on the first two in the series to adjust for unwanted clipping without losing the impact I desired. 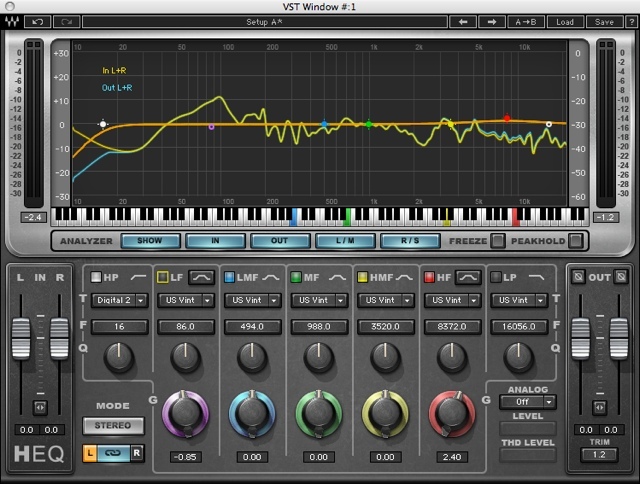 The examples in the video were processed through the VST Rack in Soundminer Pro at 24-Bit 96kHz. As I mentioned earlier in the article, I used a new Rycote ORTF mount for one of the MKH-8040ST microphones and a standard XY mount for the other MKH-8040ST for these explosions. I placed the ORTF facing the detonation area but with the RIGHT microphone aimed at the center with the LEFT pointed off axis by 120 degrees. I did this because I wanted to have the main explosion sound to be dead center on one of the ORTF microphones in order to hear the width with the LEFT side pointed away from the center blast toward the forest. As you can probably hear in the video, the image is very wide and the echo coming back on the LEFT microphone is very distinct. I placed the XY MKH-8040ST just above the RIGHT ORTF microphone with the point of detonation in the middle of the XY image. Though not as “wide” sounding as the ORTF, it still has a really nice stereo field. It is probably safer to use the XY Stereo version over the ORTF version if you are concerned about phase issues. I did not notice any phase problems when summing the ORTF to mono. One of the reasons I placed the ORTF where I did for this test was to see how valuable it would be to have a good, strong mono sound from the RIGHT ORFT MKH8040 and at the same time have one MKH8040 source that is pointed away. Options, I like having options. So, the ORTF could be used in stereo or dual mono, take your pick. I was very happy with the ORTF rig. It’s solid and the tolerances are very tight which is good for ORTF recording. I will use this rig more in the future on ambiences and other sounds like streams, waves, and wind. I’ll keep you posted on any new sounds that I get with this rig. That’s it, the end of the demonstration for now. I wish I could have recorded more that day. It was bitterly cold, and I did not want to be outside any longer than necessary. It’s been a long winter up here. Let me know your thoughts and any questions you might have about all this. I would love to hear from you. WOW! I was not expecting that much out of transient enhancement. I am sold, and very much appreciate this one.